Ever wish you had Celeb Arms? Famous celebrities like Jennifer Aniston and Sandra Bullock have arms that are the envy of most women. There’s no flab there; their arm muscles are toned and beautiful. But of course not everyone has thin looking, muscular arms. Many women are embarrassed by their arms. They’re flabby and unflattering no matter how long they spend in the gym with personal trainers and on diets. Many women have loose arms from weight loss or aging. Those are just facts of nature. For three seasons out of the year — spring, summer and fall — we’re wearing short sleeves which make many women self-conscience. Summer is bathing suit time and no one wants to head to the beach or swimming pool when you’re embarrassed about the way your arms look. So, how can YOU have arms that you’re proud of rather than arms that you want to always cover up? Dr. Gray’s Arm Tuck procedures can give you the beautiful arms you’ve desired. Dr. Gray performs many types of Arm Tuck procedures. There are surgical and non-surgical tightening procedures. Of the surgical form, two types exist — the Posterior and Inner Arm tucks. With the Arm Tuck-Posterior, the scar is in back of arm. This procedure removes skin and fat, but the scar is not hidden. 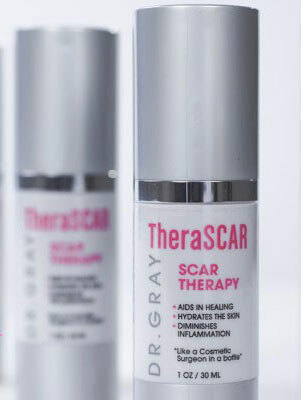 Of course you can use Dr. Gray’s Skin Therapy for Scars to heal better. The second type of Arm Tuck procedure is the Inner Arm Tuck, which removes skin only, but not fat. The Inner Arm Tuck hides the scar inside the arm and this can be extended to the arm pit to remove more skin if needed. Additionally, you should know that a non-surgical option exists for this solution as well. Non-surgical tightening of the skin exists for those who do not want surgical excisions and resulting scars. This non-surgical procedure heats different skin layers. The top layer, when heated, improves surface imperfections like wrinkles, color pigment and stretch marks. Other options include the middle layers of the skin can be tightened with Thermage and Venus. With these options there is no down time. And finally, a bottom layer when heated with lasers causes a reduction in fat while smoothing cellulite and other imperfections. The heating of the bottom layer of skin causes skin to tighten as well. 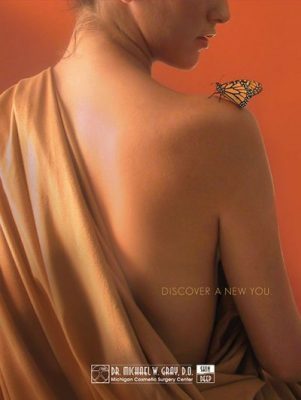 Dr. Michael W. Gray can restore tightness and a more even contour with these arm tuck procedures, which are designed to reduce excess skin of the arm and correct unsightly skin folds that can cause skin irritation or interfere with your ability to wear sleeveless tops. In terms of recovery, there is minimal discomfort with these arm tuck procedures and usually no pain medicine is required. Aggressive arm movements are restricted for 3 weeks with the surgical options, but patients can often return to work with these restrictions the next day. Take a look at these before and after photos. These are real, proven results. Dr. Gray will give you the arms you desire and the arms you deserve. Let Dr. Gray make magic happen and you’ll be feeling more like Jennifer Aniston and Sandra Bullock and no longer embarrassed to show off those toned arms. I encourage you to join the Arm Tuck Facebook Group by clicking here: www.facebook.com/groups/430514707063000/. You’ll be able to share your experiences with these procedures, ask questions from women who have had these procedures done, and ask me any question you have.